Professional: Design special for LED lamps, LED drivers, energy saving lamps, High-end Power etc. 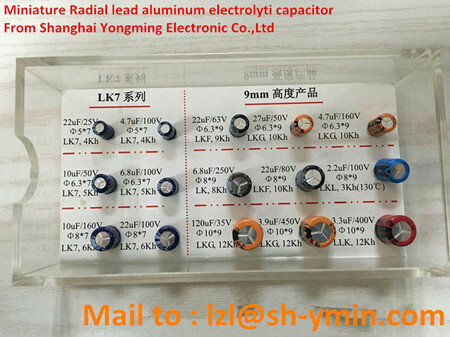 Mini Size: YMIN is the first company to launch super small size radial electrolytic capacitor at 9mm Height, 7mm height, and the first to launch SMD for LED. Long life: Under the condition of same volume, the life hours of ours is the longest. Whole series: Different items from 4000h to 20000h at temperatue 105℃ to match clients’ various demands. High frequency low resistance: Meet LED lighting circuit requirements.